Stroll the South Platte Riverwalk. Imagine yelling “Your not the boss of me!” at Bill while standing in the Oval Office. Could have been you. Had you won the nomination, that is. Look to the left. Beautiful snow caps to the south of Denver seem so close. 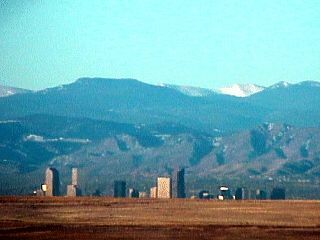 A look to the right provides the same vantage point Northwest of Denver. Then, go slam some shots of Crown Royal in LODO like you did with the working class whites you were pandering to in Crown Point, Indiana. They probably didn’t even vote for you. This is just the place to realize that what you’ve done to the Democrat Party is a low down dirty shame! Now, come to grips with the fact that your hopes of becoming President are dead, forever. Any possibility of you being a factor in future politics is also dead. Why? Quite simply, YOU LIE TOO MUCH. Thanks for extending this campaign so that you could expose yourself for the liar and race baiter that you are. Just think, If you had dropped out after Super Tuesday, blacks would have never known about you and Bubba’s “Willie Horton” ways. Your cabins contents (Maya Angelou, Bob Johnson and Maxine Waters) would have been effective campaigners in garnering the black vote. Then, you would have won their support overwhelmingly in 2016. Go to a Rockies game and watch the team that was fooled into thinking they were actually good last year and made no off-season moves.